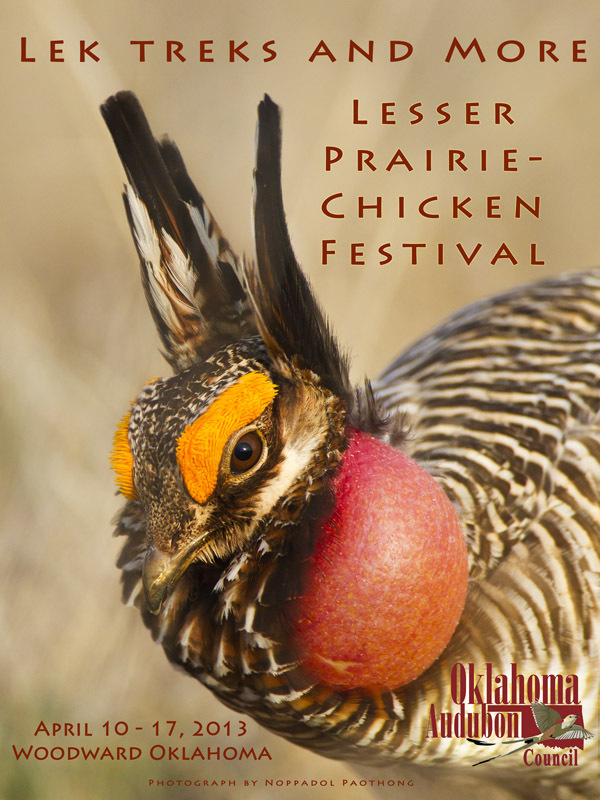 Here is the 2013 Festival poster, featuring a wonderful Lesser Prairie-Chicken photograph from our featured artist Noppadol Paothong. Posters will be available for purchase for $15 at the festival, or may also be ordered over the phone. Contact John Kennington at 918-809-6325 for details. Click the image below for a larger image.